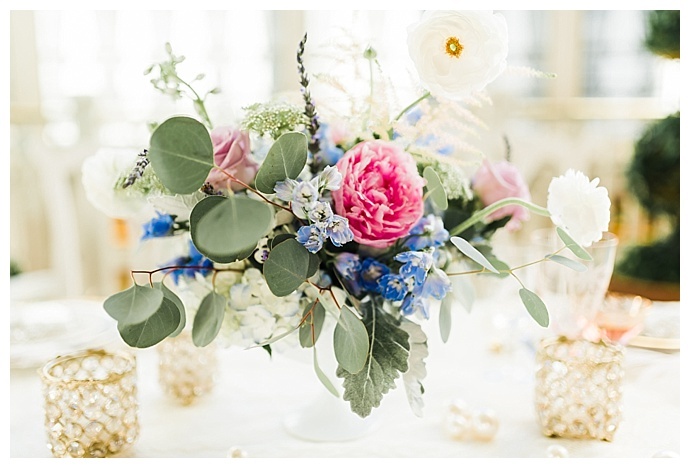 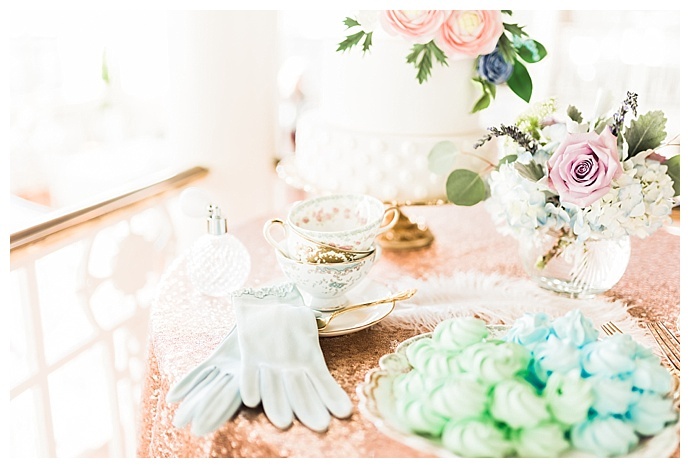 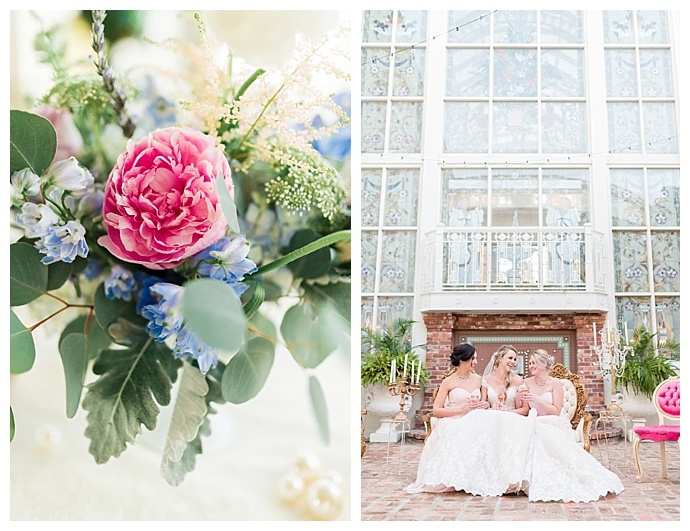 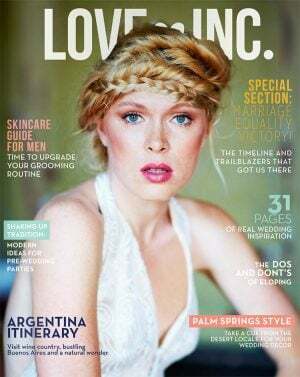 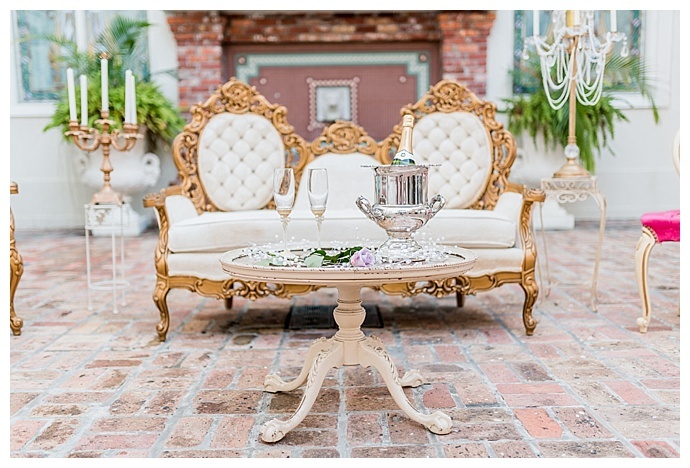 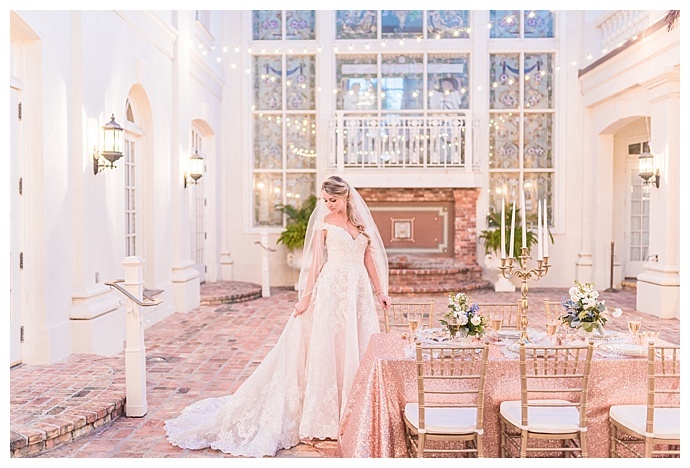 Romance and elegance were on the minds of creatives when they teamed up to put a modern twist on a Marie Antoinette-inspired styled shoot. 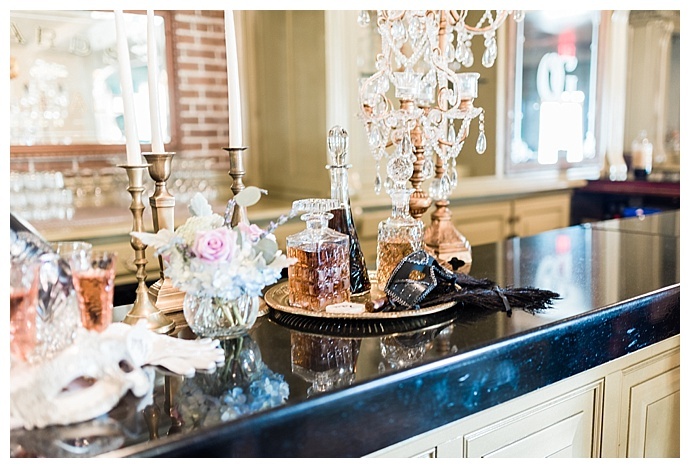 They couldn’t have picked a better muse than the well-dressed, controversial queen of France who had an undying love for all things luxurious. 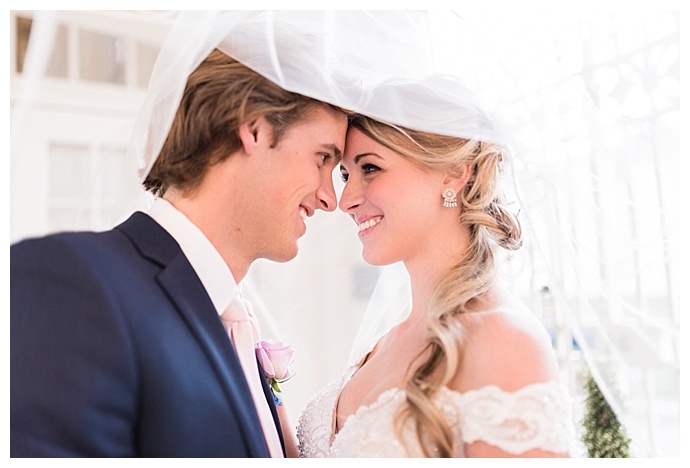 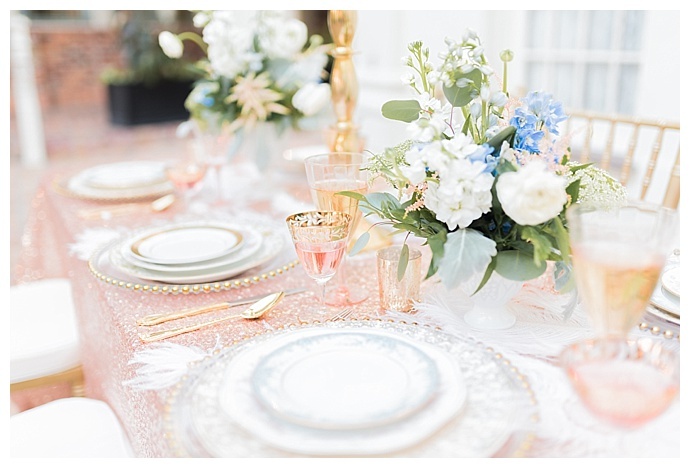 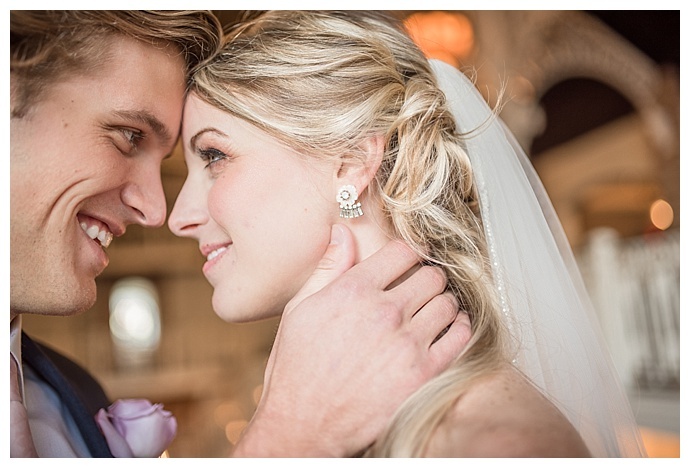 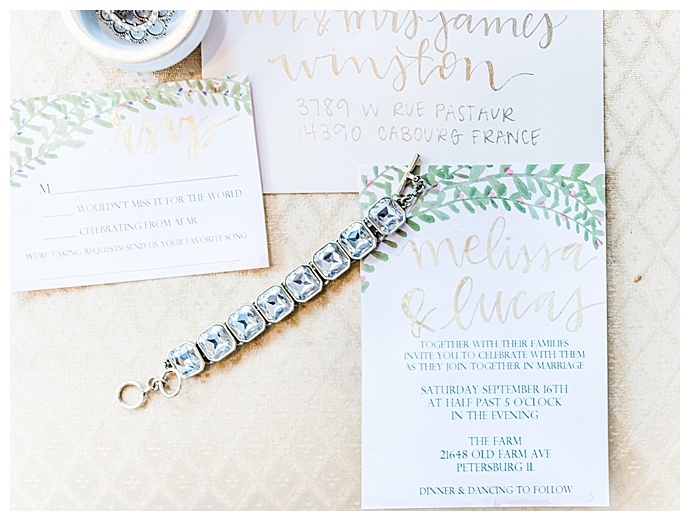 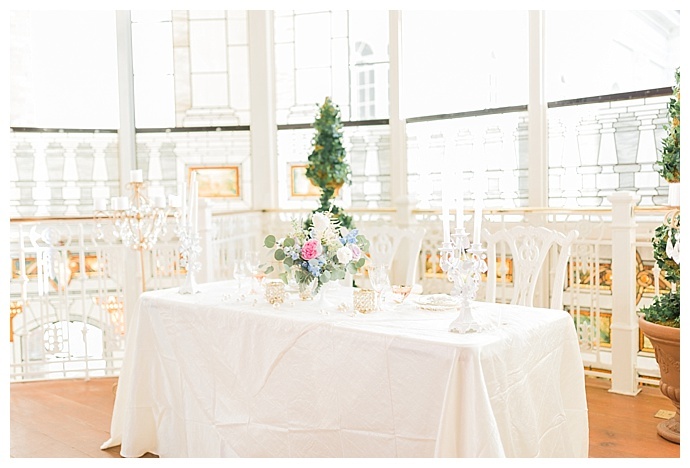 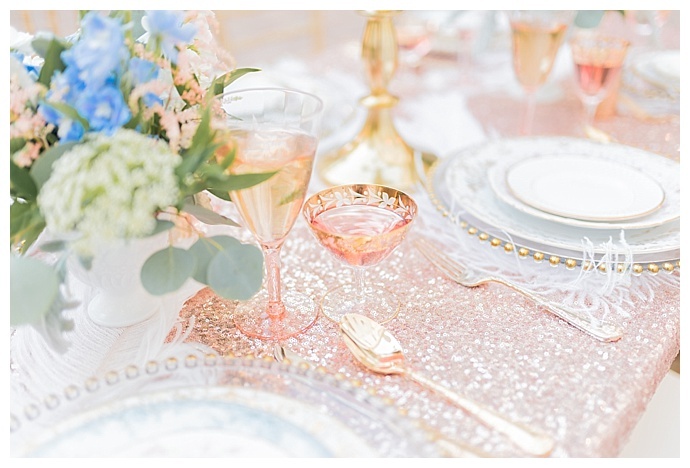 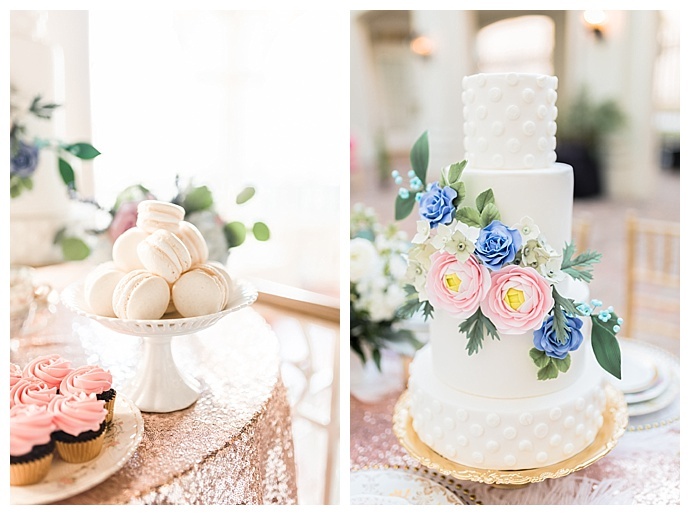 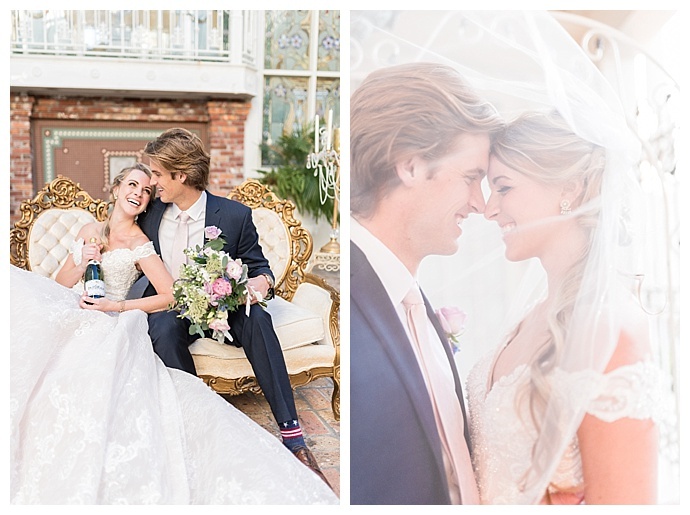 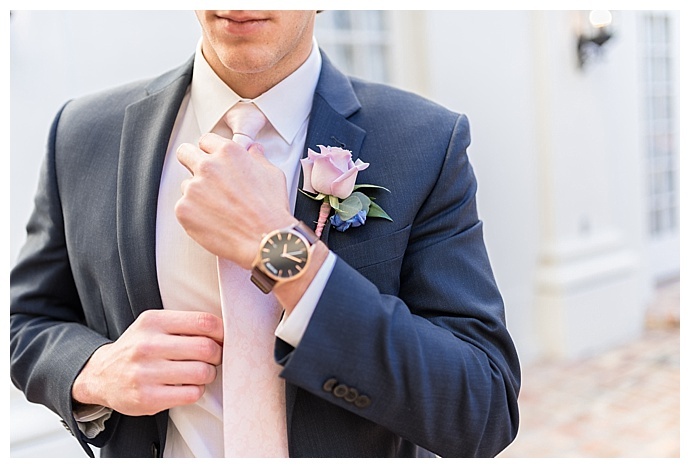 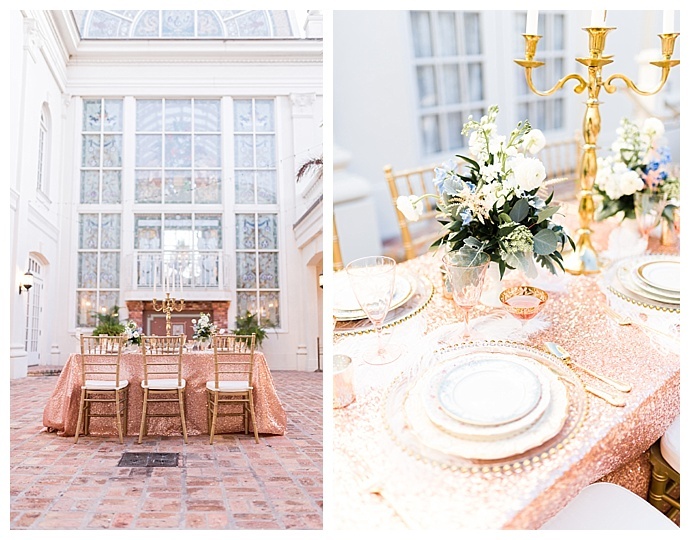 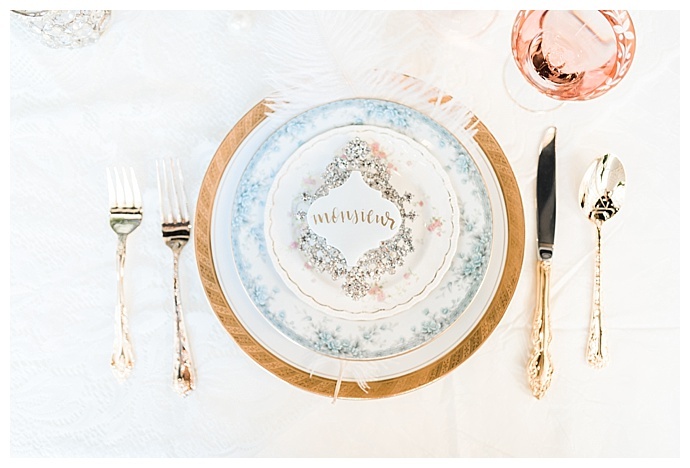 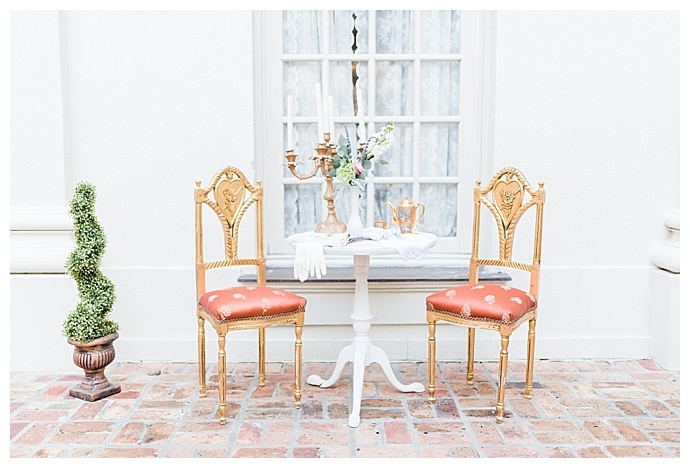 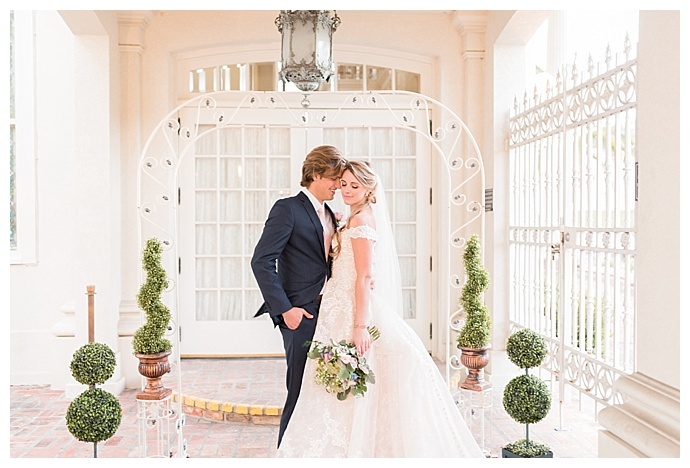 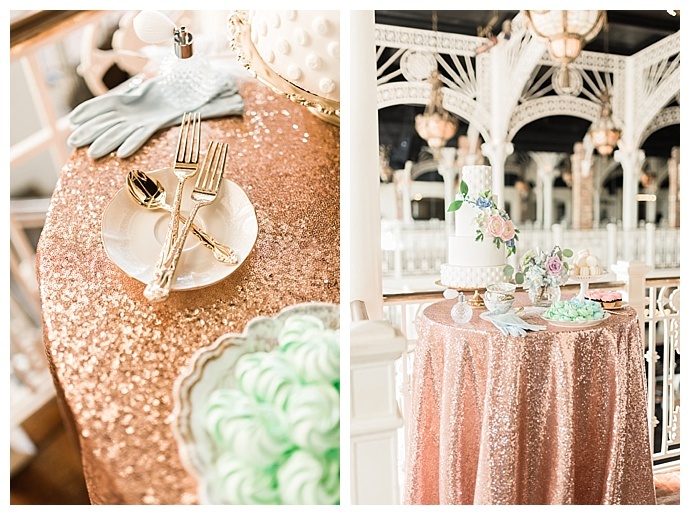 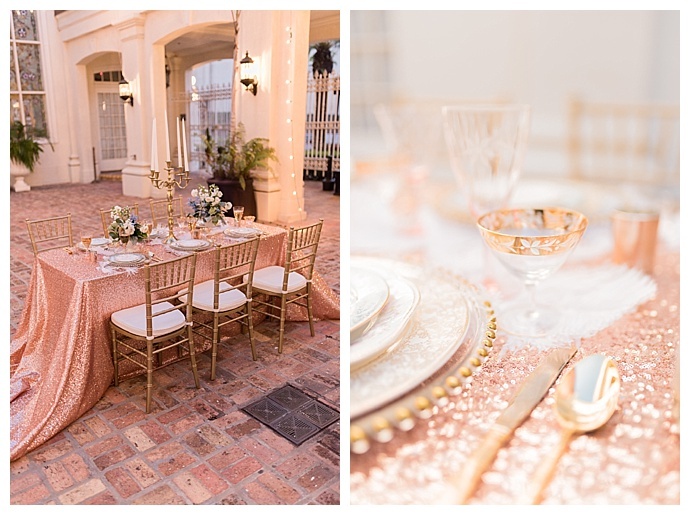 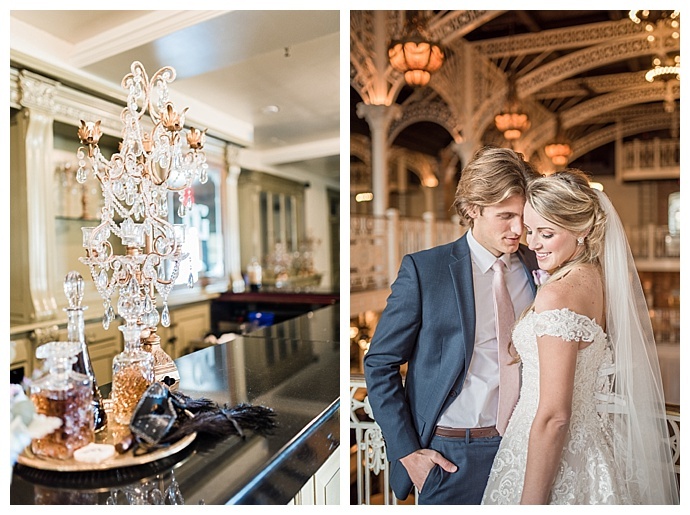 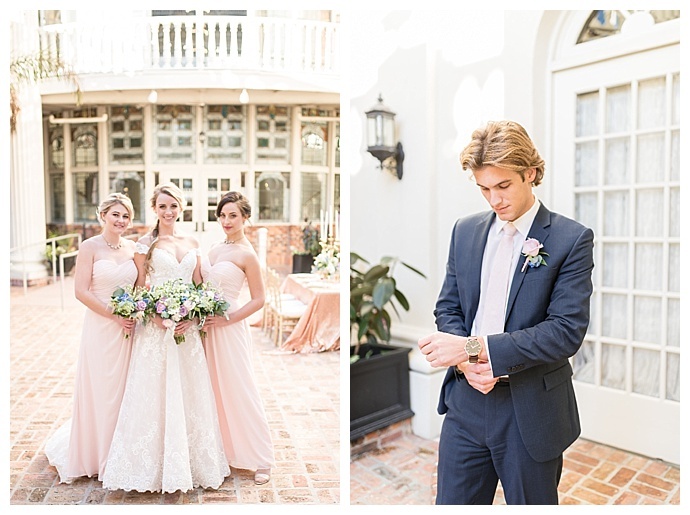 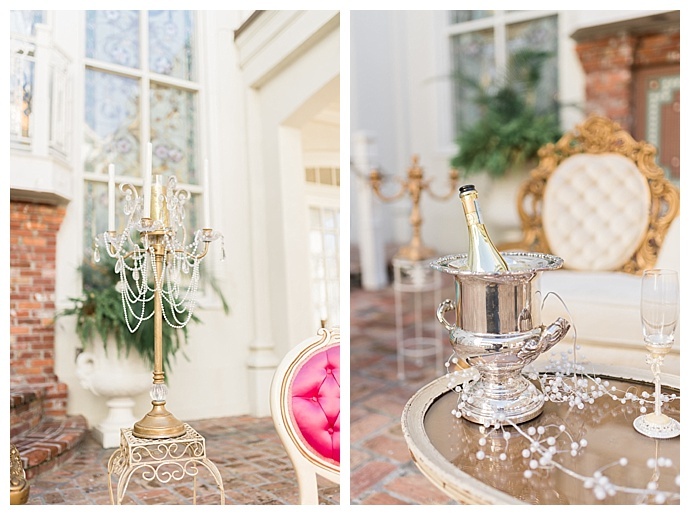 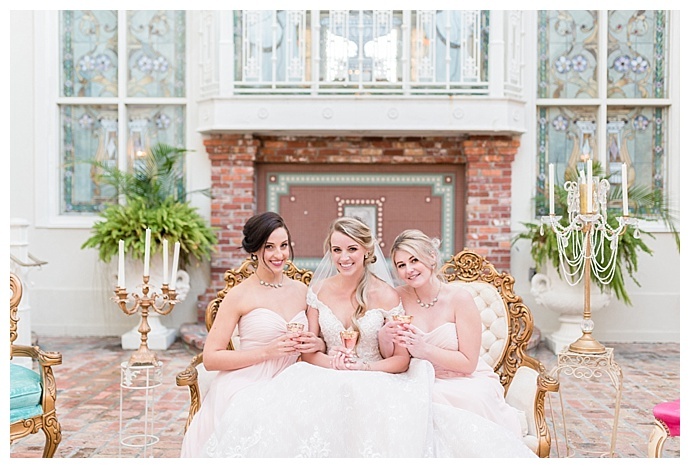 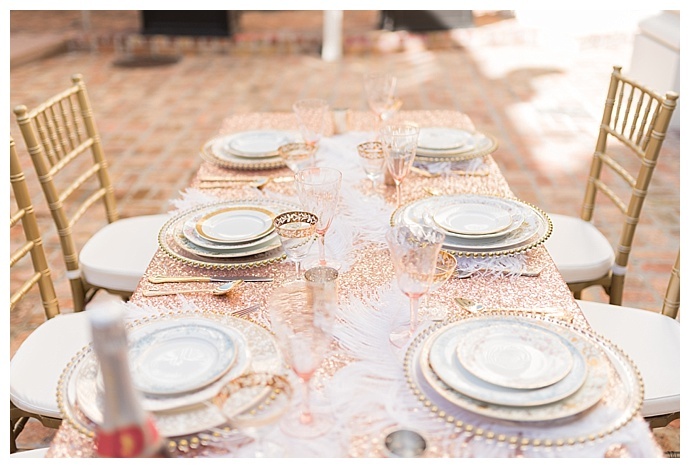 Tori Lynn Photography captured all the luxe details, such as a blush pink and gold color palette with pastel touches and vintage details that exude French elegance. 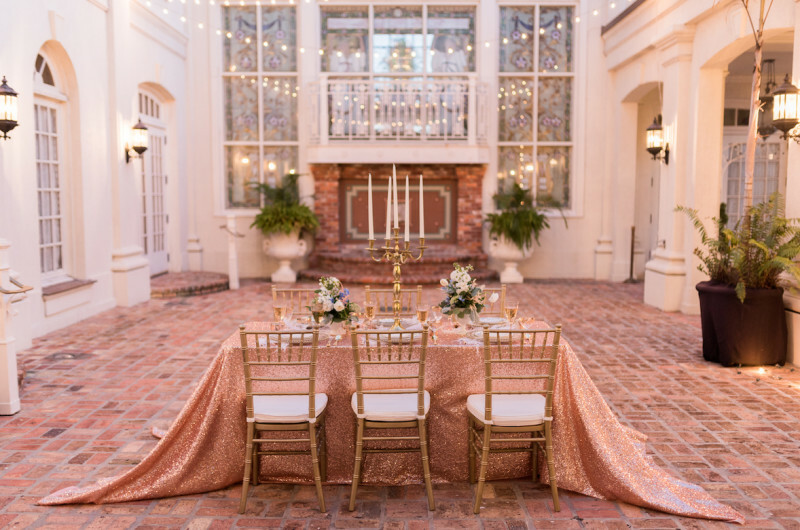 We’re swooning over the towering candelabras and the texture that a rose gold sequin tablecloth creates on the tabletop. 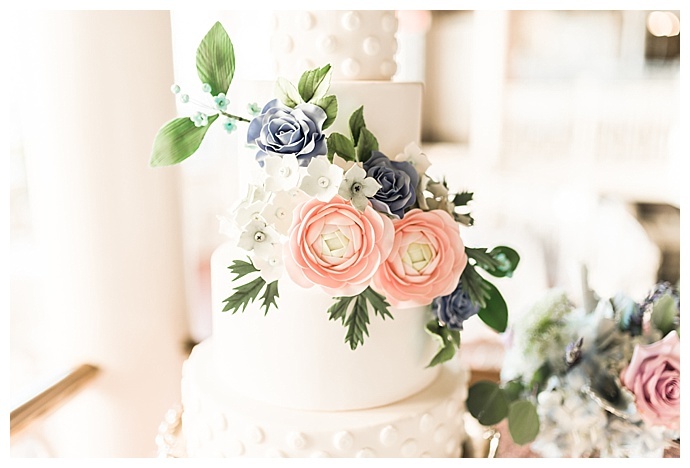 And the icing on the cake of this stunning shoot is the intricately designed sugar flowers cascading down the three-tiered white wedding cake. 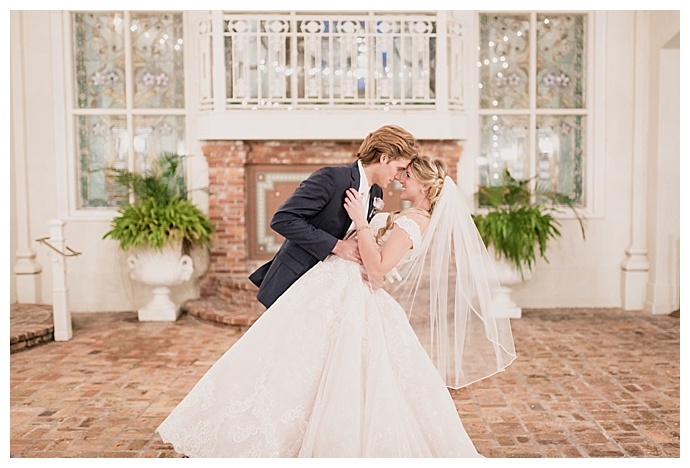 It doesn’t get any sweeter than that!